What Cruise Travel Documents Are Needed For Caribbean Cruises? You need to know which cruise travel documents you will need to visit the Caribbean. This will ensure that you and your family will avoid potential misfortunes at your cruise's departure port. Some friends of ours, two sisters, their mother and an aunt, decided to take an Alaska cruise (yes, I know this is about Caribbean cruises, but please bear with me). Unfortunately, not being American citizens they did not know that they should have a Canadian visa to pass through Canadian waters to Alaska. They showed up at the port and only the aunt had a Canadian visa. The two sisters and their mother were refused entry to the ship. They spent the week checking out Seattle instead. Not having the right documents will result in you missing your cruise. American citizens simply need to have an original, certified or notarized birth certificate and a government I.D. 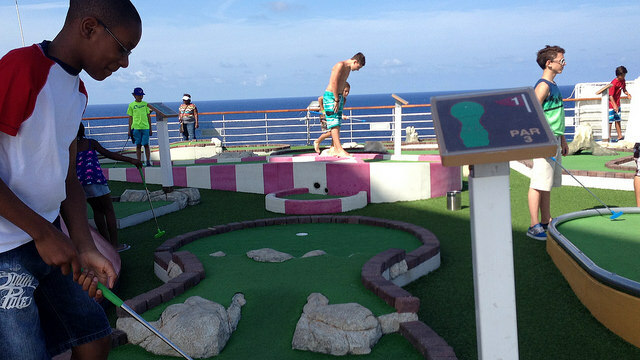 to travel on a closed loop Caribbean cruise. A closed loop cruise leaves from and returns to the same U.S. cruise port. However, for non-closed loop Caribbean cruises, American citizens need a passport. For naturalized citizens, you may travel with your Citizenship Certificate or a passport. If fact, all cruise passengers are encouraged to travel with a passport. Learn more about passport requirements for cruises. Precaution: Check if any country being visited requires a visa. It is most unlikely for Caribbean islands, but can happen. 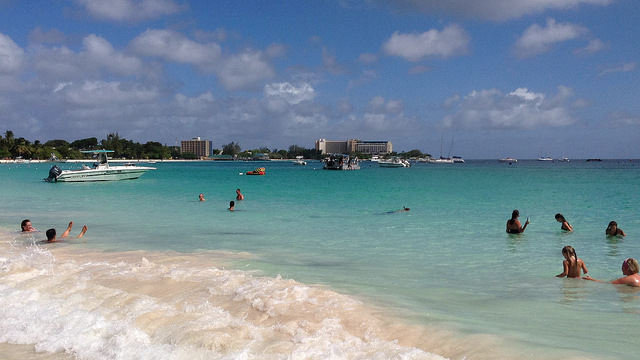 Some Caribbean cruises visit ports which are not Caribbean islands. Double-checking offers peace of mind. For permanent legal residents of the U.S., you will need your green card and passport for your Caribbean cruise. I have seen instances where the immigration officer simply looked at the green card and allowed the returning cruise passenger to re-enter the United States without showing the passport. However, more often than not, the immigration or customs officer may require both the passport and the green card. Precaution: Check if any country being visited, requires a visa. It is most unlikely for Caribbean islands, but can happen. Some Caribbean cruises visit ports which are not Caribbean islands. Double-checking offers peace of mind. For those who currently live in the United States, but are not permanent residents, you will need to travel with a passport and a valid U.S. visa for re-entering the country. Ensure that the visa you hold allows you to go out and back in (multiple-entry visa), before you book your cruise vacation. You will also need to ensure that the countries you will visit on your cruise do not require an entry visa for non-U.S. citizens. You may use the search box below to check for visa requirements. 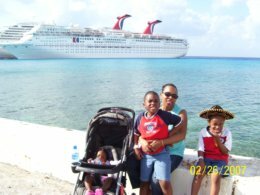 If you wish to take your family on a Caribbean cruise which leaves from a U.S. port, you will need a visa and a passport. However, depending on which country you are coming from, you may not be required to obtain a visa under what is called the Visa Waiver Program. You may check the US Department of State's website for more information on this. In simple terms, some visitors to the United States who plan to stay in the country for 90 days or less for tourism or business, are not required to obtain a visa. That being said, you may need some form of travel document to enter the countries on your cruise itinerary. Check with your Travel Agent, or use the Visa Search tool above to find answers. Let nothing prevent your family from having a great vacation at sea. Do whatever you must to ensure you have the right cruise travel documents to get on board your ship and take your family away to fun in the sun.